For once the PR cliches of 'eager anticipation' and 'welcome return' are not misplaced. 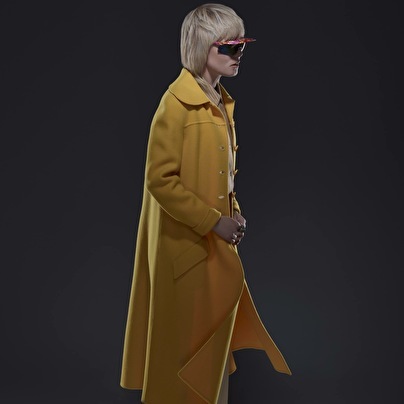 The unmistakable Róisín Murphy returns with her new album Hairless Toys on 11th May. The rich, expansive production - by Róisín's long time musical collaborator Eddie Stevens - is full of inventive loops and unlikely hooks, a grand magical spell exemplified by album opener Gone Fishing. A song inspired by the film Paris Is Burning, where originality, invention and celebration are escapes from the ugly realities of the world around us, a place where "The practice of realness, feels so surreal" . As Róisín explains – "This song was written after I watched the documentary film Paris Is Burning, having read an article which referenced it in a discussion about House music's origins in black, gay culture. I was deeply moved by this film. "I had to run this far from home" - it's about the outcasts who could never fit into mainstream society and how they created a safe place in the drag 'Ball' scene of New York in the '80s. "Will we live on? The children of La Beija" refers to the 'house' of Pepper La Beija, who was one of the most notable figures on the scene, Pepper is also quoted in Malcolm McLaren's song on the same subject 'Deep In Vogue'. The culture was a flamboyant reaction to persecution and disillusionment, the imagination and bravery of these kids is simply awe-inspiring. I envisioned Gone Fishing almost as a song from a Broadway musical version of this story. The making of one's own world, a safer world and the creation of a new, better family in music or youth culture is a theme I touch upon elsewhere on my album Hairless Toys." Deze vrouw heeft het....­ Deze vrouw is het....­ Deze vrouw voelt het...­ VET! You know me better wieuw!